Do you recognize Poppy from Ever After High? She has a twin sister. They have completely same appearance, but their clothing styles differ. This way you can see who is who. You know that twins often do not distinguish. This is the feature of the sisters O'Hair. By the way, you know that their mother is Princess Rapunzel! Yes Yes! In this dress up game, we will choose a new outfit for Poppy. She loves to dress up, change hairstyles and she also has created her own style. How do you like it? With the mouse choose dresses and decorations for a twin and surprise the girl with your dress in this game. Played: 39915. Added: 22-06-2015, 20:17. 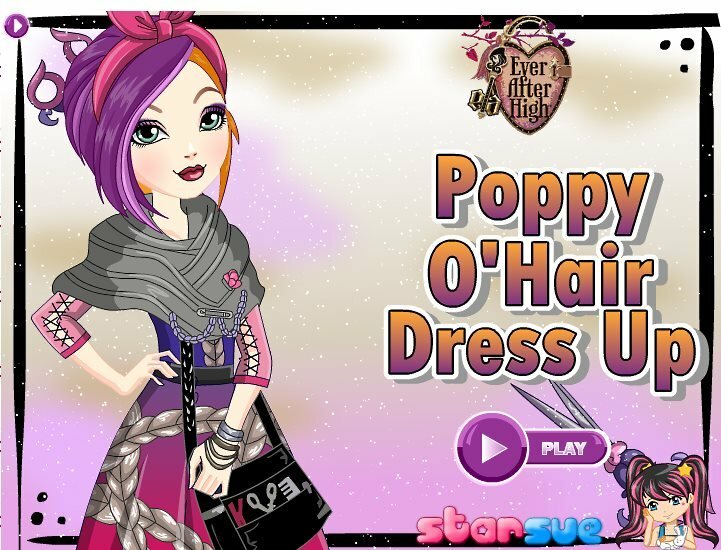 Poppy O`hair Dress up game. Choose a new dress for Poppy.